Many members of the Zen Center attended the Women's March on Washington. 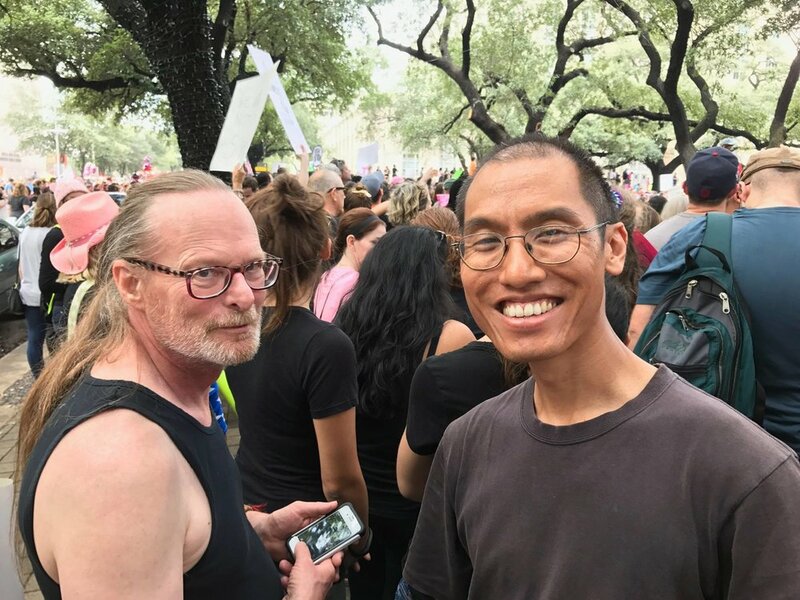 With the banner designed by Jim Tiebout and the Abbot (Zen Women for Democracy), a group marched in DC; a group also took the banner to Austin where they were joined by other Zen practitioners. And many members marched in Houston. Everyone reports the event was inspiring and deeply moving. the 3 organizers of the Zen contingent to DC: Inryu Ponce-Barger, Abbot Gaelyn Godwin, Grace Schireson, left to right.